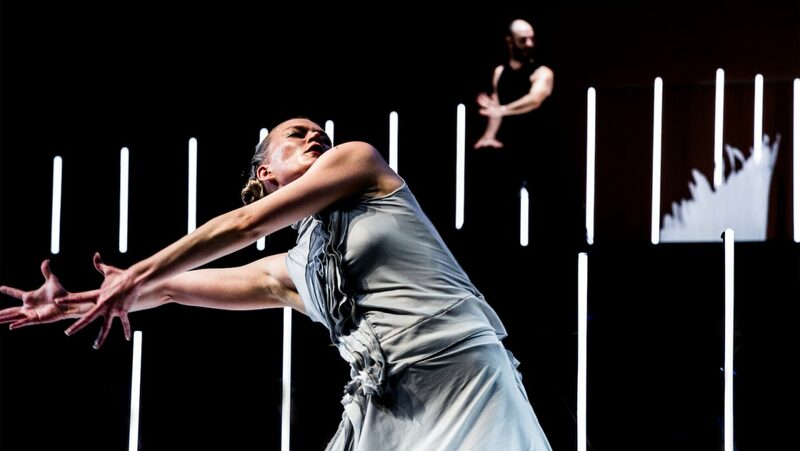 Originally commissioned by the Los Angeles Philharmonic, the Finnish premiere of Tero Saarinen’s choreography Zimmermann Trio will be at co-commission partner Helsinki Festival. The performances take place on 30–31 August at the Helsinki Music Centre. Like in LA, conductor Susanna Mälkki will direct Bernd Alois Zimmermann’s cello concerto En forme de pas de trois, this time, interpreted by the Helsinki Philharmonic Orchestra. Tero Saarinen Company dance soloists Auri Ahola, Misa Lommi and David Scarantino take the stage with cellist Oren Shevlin. Along with Zimmermann Trio, the concert includes J.S. Bach’s Ricercar and Richard Strauss’ Alphine Symphony.